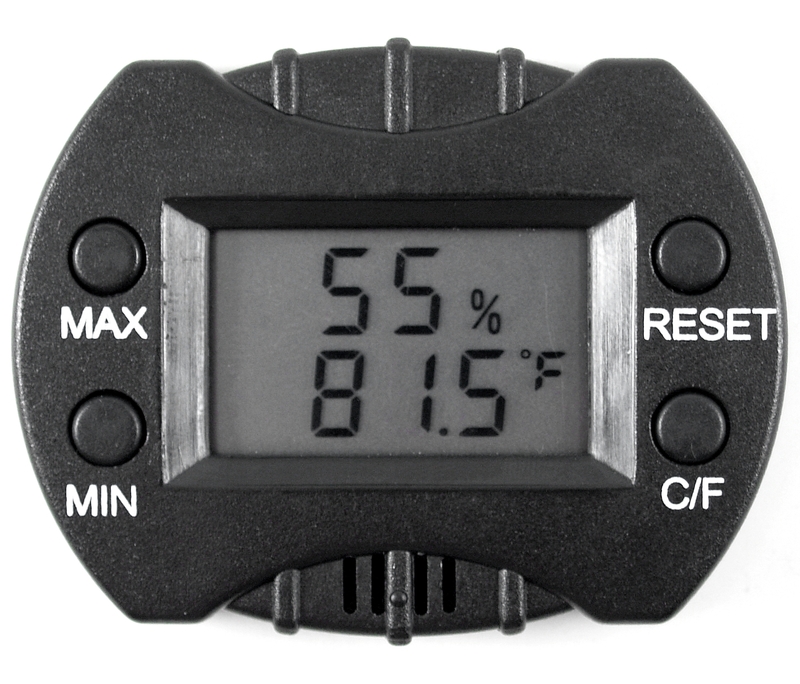 Our Mini Digital Hygrometer with Temperature read out is the smallest unit we offer. Only 2.2 inches wide, 1.6 inches tall and half an inch thick, so the picture above is actually larger than the hygrometer. The Mini Hygrometer is ideal for any location. Easily mounts with internal magnets on to the metal mount strip included. Strip adheres with peel and stick 3M tape provided. Of course this unit would stick to anything metallic with the internal 4 magnet system built in. Reads in Fahrenheit or Celsius, also records minimum and maximum readings since unit is reset. Battery is factory fresh ensuring long life.